The U.S. Army Corps of Engineers Marine Design Center requested that JMS conduct a stability and structural review of the 350 foot ocean hopper dredge ESSAYONS. The objective was to allow the vessel to load beyond its ABS Load Line when operating in protected waters. It was found that the vessel meets or exceeds the stability requirements; structurally however, one member fails to meet ABS requirements at extreme loading conditions. In an effort to minimize the structural modifications that may be required, JMS created a 3D model of the inadequate structure and performed a finite element analysis to gain a more detailed understanding of the loads and stresses acting on this member. The FEA results showed that despite failing ABS rules, the structure has sufficient capacity for the worst case loading scenario making structural modifications unnecessary. The Dredge ESSAYONS is the latest dredge to be built for the U.S. Army Corps of Engineers. 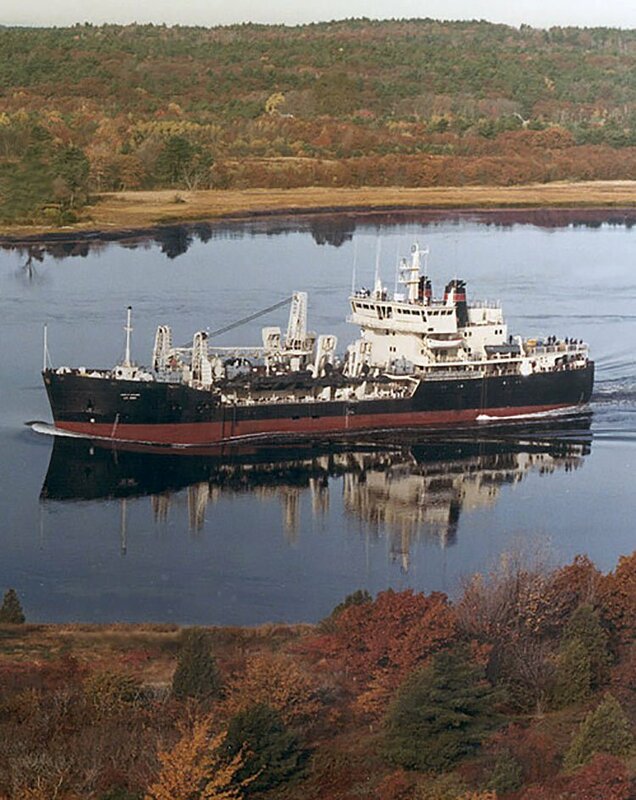 Delivered to the Portland District in 1983, the ESSAYONS helps to maintain the entrance bars and harbors on the coasts of California, Oregon, Hawaii and Alaska. The dredge has a 6,000 cubic yard dredged material capacity. Because of its size and dredging depth, the ESSAYONS is automated for operation with an unattended engine room and semiautomatic dragarm handling system. Sophisticated instrumentation allows constant production monitoring and enables the 23-man dredge crew to maintain maximum dredging efficiency 24 hours a day.